Who doesn't like Ice Cream??? 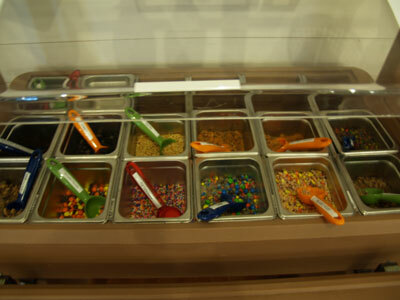 At the Old Leesburg Mill you can get it in a cone or make your own sundae. We always have chocolate and vanilla! Depending on the day, we also offer two other flavors including Lemon Custard, Strawberry Cream, Raspberry & Mint, Orange, Cherry and Caramel. Build your own sundae using any of our toppings. Among our offerings are Heathbar, M&Ms, Butterfinger, Oreo, Reese's Pieces, Color Sprinkles, Chocolate Sprinkles, nuts and syrups.